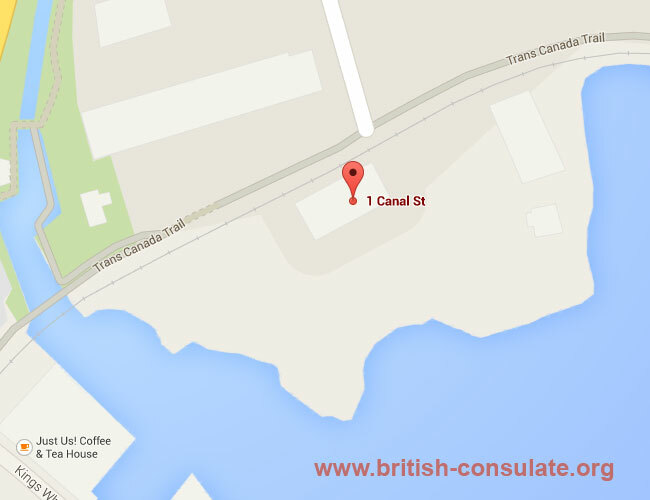 The British Consulate in Dartmouth in Canada is an Honorary Consul and is located next to Secunda Marine services in Nova Scotia. Note their office hours and telephone numbers if you wish to contact them about a British visa or about applying for a British passport. Note the map attached if you do decide to go in person to the consulate. *** If you are looking at applying for a visa for the UK then speak to the British Embassy in Canada about your visa and not this consulate.